We are a gay & lesbian owned and operated Turkish travel agency providing tours all around Turkey since 2003. We offer a number of Turkey package tours departing everyday from Istanbul and covering the most popular tourist destinations all over Turkey. A package tour is a practical combination of various local daily tours and mini tour packages operated in different locations. Unlike group tours you will be independent from other people in hotels and during the transportation procedure. You will join other people during the daily excursion tours included in the itineraries. The itineraries are organized considering best transportation options. Everything related with tour program (such as bus / plane tickets, hotels reservations, excursions, connecting transfers) will be organized by us, and you will not have to deal with each separately. You will be under our protection during the tour and we will be there to fix it if ever something goes wrong. Besides, it will cost you much less due to discounted industry rates we receive as a TURSAB A class licensed travel agency. Upon request, the package tours can also be customized easily. We can replace long bus rides with planes, upgrade to better quality hotels, make additions or reduction with the tour program if / where possible..
Are these gay-exclusive tours ? No, these tours packages are not gay exclusive group tours. These are independent package tours and most of them are available everyday. We organize these tours in cooperation with other non-gay tour operators. Remember that there is no such a potential for everyday-departure gay-exclusive tours in countries such as Turkey. Consequently, it is a coincidence if there will be other gay or lesbian clients booking the same tour departing same day you book a specific tour package. We are a gay owned/managed company, and we choose gay and lesbian friendly transportation companies, tour and cruise operators, guides and hotels, where available. We will request some 15-30% of the total tour price in advance, depending on the type of the tour. We will send you a very detailed information by email about payment methoods when we receive your tour request..
Cappadocia by Plane - 2 day & 1 night. You will visit the most popular places in Cappadocia region in 2 days. Two way flights from Istanbul, connecting transfers, one night accommodation in cave hotels is also included. Ephesus & Pamukkale by Plane - 2 days & 1 night. 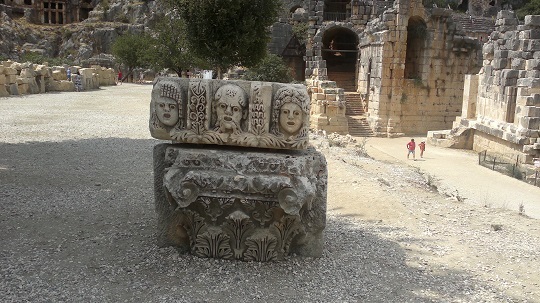 You will be visiting Ephesus, House of Virgin Mary, Pamukkale, Hierapolis in two days . Two way flights, connecting transfers, one night accommodation 4 star hotels included. Our most popular tour which departs everyday and cover the 3 highlight of Turkish tours in 4 days & 3 nights. Early reservation is recommended to for better rates; based on flight costs. 4 Days and 3 Nights tour by plane with no overnight bus departing everyday in spring and summer season. Winter departures are based on operation of tours in Antalya. This 6 days & 5 nights tour combines world wide famous Gallipoli and Troy with other best tour destinations of Turkey, departing almost everyday in all season. Highly recommended. Joining 6 different amazing tours in 6 days and 5 nights will probably be an unforgettable experience for the participants of this tour. Accommodation at 3/4 star hotels included. 5 days & 5 nights lasting tour also includes a boat tour in Buttefly Valley. It is suggested if you want to experience some summer and leisure activities besides visiting historical sites. Best of Eastern Turkey in 5 Days - 4 Nights by Plane. This package is operated only in summer period, departing 2 times per week. Please ask for availability. Operated in cooperation with several travel agencies this tour covers the best of Turkey in most practical way and with an unbeatable price. This tour is departing on specific dates only, unlike above tour packages. Map of major tour destinations included in our package tours. > Free cancellation and discounts are available! > No commission charged by us. Phone: +90 212 5270671 Fax/Phone: +90 212 5270672.	.